Having some sort of web page since 1994 (long ago by Internet standards), I’ve recently concluded that all complicated and fancy webpage stuff is truly unnecessary and usually annoying. Therefore, I've decided to keep this page as simple as possible. While I haven't yet reached the laudable simplicity of my colleague, pen-friend, and an outstanding polymath Cosma Shalizi, that certainly remains a goal worth striving for! NEW! Two books of mine have appeared in recent months, notably (Oxford University Press) and (University of Novi Sad). Do contact me for details! NEW! Against the Empire. An essay considering a possible evolutionary pathways of advances extraterrestrial/future human civilizations. Journal of the British Interplanetary Society, vol. 61, in press (2008). NEW! On the Timescale Forcing in Astrobiology. 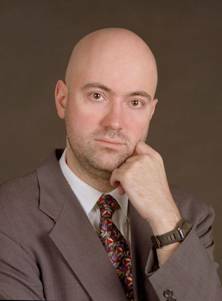 Branislav Vukotić and Milan M. Ćirković (2007): Serbian Astronomical Journal, vol. 175, pp. 45-50. Evolutionary Catastrophes and the Goldilocks Problem. International Journal of Astrobiology, vol. 6, pp. 325-329 (2007). Too Early? On the Apparent Conflict of Astrobiology and Cosmology. Biology and Philosophy, vol. 21, pp. 369-379 (2006). Physics vs. Semantics: A Puzzling Case of a Missing Quantum Theory. Foundations of Physics, vol. 35, pp. 817-838 (2005). Adaptationism Fails to Resolve Fermi’s Paradox. 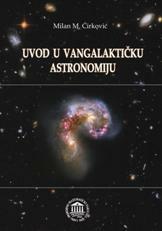 Serbian Astronomical Journal (peruse HERE! ), vol. 170, pp. 89-100 (2005) – with Ivana Dragićević and Tanja Berić-Bjedov. “Permanence” – An Adaptationist Solution to Fermi’s Paradox? Journal of the British Interplanetary Society, vol. 58, pp. 62-70 (2005) – recently featured in New York Review of Science Fiction, vol. 17, issue 202, pp. 1-6! On the Temporal Aspect of the Drake Equation and SETI. Astrobiology, vol. 4, pp. 225-231 (2004). Agencies, Capacities, and Anthropic Self-Selection. Philosophical Writings, vol. 27 (Autumn 2004), pp. 43-62 (2004). The Anthropic Principle and the Duration of the Cosmological Past. Astronomical and Astrophysical Transactions, vol. 23, pp. 567-597 (2004). HIGHLY RECOMMENDED! Resource Letter PEs-1: Physical eschatology. (2003): American Journal of Physics, vol. 71, pp. 122-133 (2003). Complete (and likely out-of-date!) CV with all publications is available here in .pdf format (345 Kb). 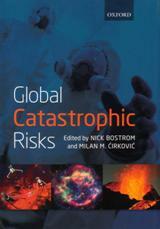 Currently preparing an academic book for Oxford University Press on “Global Catastrophic Risks” with Prof. Nick Bostrom as co-editor. To be published (hopefully!) by June 2008. With Robert J. Bradbury, I am working on “migration hypothesis” a particular solution to Fermi’s paradox, attempting to join postbiological digital perspective to the current SETI studies. The latest version of the preprint can be read here. All comments are welcome! In collaboration with Prof. Ivana Dragićević, I’m working on a critical study of the so-called Carter's anthropic argument in astrobiology. In collaboration with Ivana Damjanov, a grad student, I’m studying future star formation history of spiral disks, notably the duration of the era of conventional star formation (stelliferous era). Some educational material related to the mini-course I teach on issues in philosophy of science can be found here (in Serbian). With Drs. Zorica Cvetković and Zoran Knežević, I am preparing the Proceedings of the XIV National Conference of Astronomers of Serbia and Montenegro. I am PI of the project #146012 “Gaseous and Stellar Components of Galaxies: Interaction and Evolution” financed by the Ministry of Science of the Republic of Serbia in the 2006-2010 period, with 9 co-investigators... UPDATE: I have happily resigned as PI in favor of my great friend and collaborator, Dr. Srdjan Samurović, which will give me much more time to devote to research and other fun and games! ...and member of more professional organizations and societies than I really wish (or need! ), so I won't list them here. More links on the dedicated page! E-mail me all comments and suggestions! Last updated: 23. III 2010.